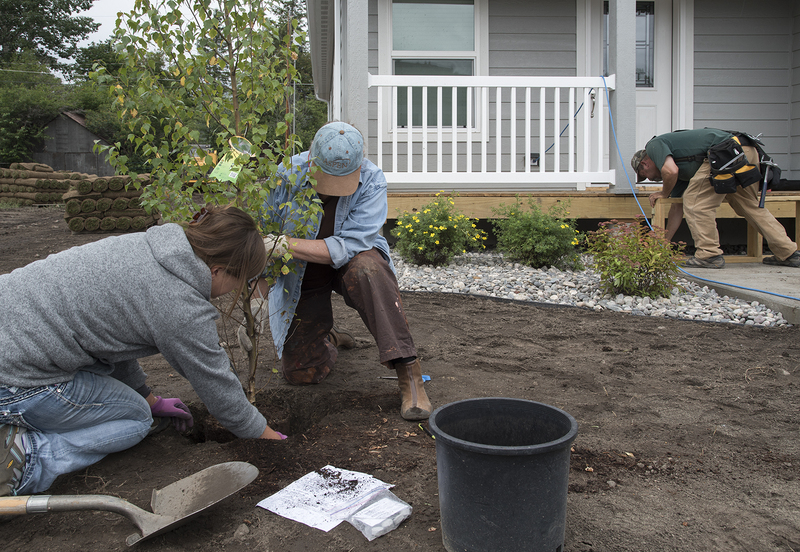 It has been a big summer for our Resilient Community projects. From building a home, to saying good bye, read all about the impacts being made! Thanks to the generous volunteers sharing their time, expertise, and services, there is now a move-in ready home available for purchase at an affordable price. 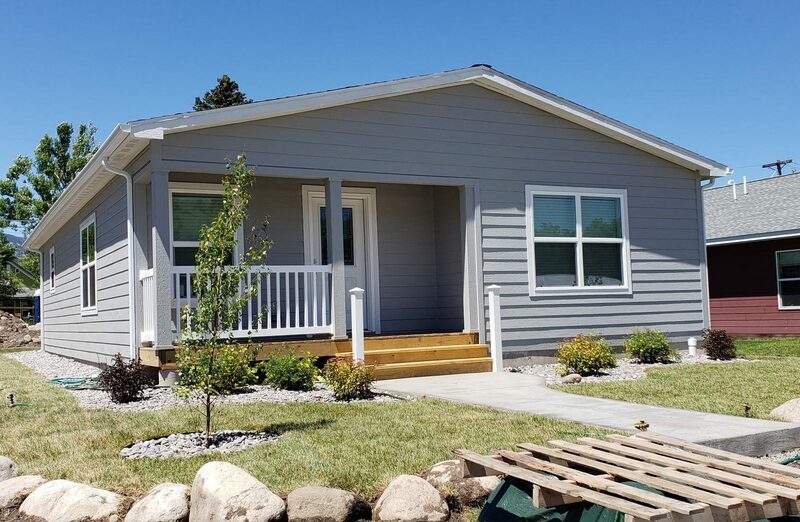 The Workforce Housing initiative has been working for 5 years to build a home that would be affordable to the local working class so that they can stop paying rent and start building a life in Red Lodge. Through planning and evaluation, the Workforce Housing Committee made this possible by utilizing the Community Land Trust model, which makes the home affordable to the first buyer and all the buyers in the future. “This feels like the start of something really wonderful for the state of Montana and affordable housing.” Kristen King-Ries of Trust Montana. On June 27th, the doors were open to the community with a ribbon cutting and open house providing an opportunity to see firsthand what hard work and big dreams can do. Thank you to the volunteers who tirelessly put in 92.5 hours of hard physical labor and planning to get the house ready for purchase. “It took a village! 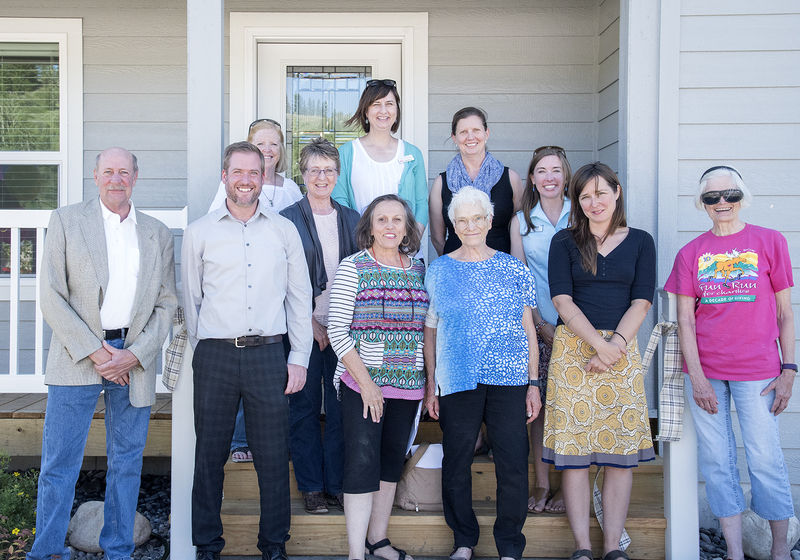 We have had a steering committee in place that has been working diligently, donating their time, energy and expertise to make this a possibility.” Valentine Smith, Workforce Housing Coordinator of the Red Lodge Area Community Foundation. We would like to extend our gratitude to the Workforce Housing Steering Committee comprised of community lenders, Habitat for Humanity, local professionals, city government, and AmeriCorps VISTA. Also, thank you to our partners for their donations of time, donated services and materials, and expertise. None of this would be possible without the generous support of our community. We are thrilled to see this house become a home. Contact Valentine Smith at Valentine@rlacf.org for more info. George and Sage have wrapped up their year of VISTA service, but their impacts will last for years to come. “I want to thank everyone at the Foundation who made me feel welcomed and I enjoyed working for such an amazing organization. Special thanks to Lanette Dalley, Red Lodge High School, and Rebekah Easter. •Carbon County’s Acceptance into AARP’s Network of Age-friendly Communities. •Secured a $40,000 Transportation Planning Grant from MDT. •Established positive relationships with local, state, and national partners. •Submitted an accepted proposal for the Foundation to present its Age-Friendly work at an AARP National Conference. Get free local produce at the Farmers’ Market! Qualifying Seniors receive $50 for use at the Red Lodge Farmers’ Market. Did you know that there are nine community food programs in the Red Lodge area which offers free food? See the Community Food Programs in Red Lodge brochure. Watch for future workshops being planned for home buyers and renters as well as funding options for city/developers.